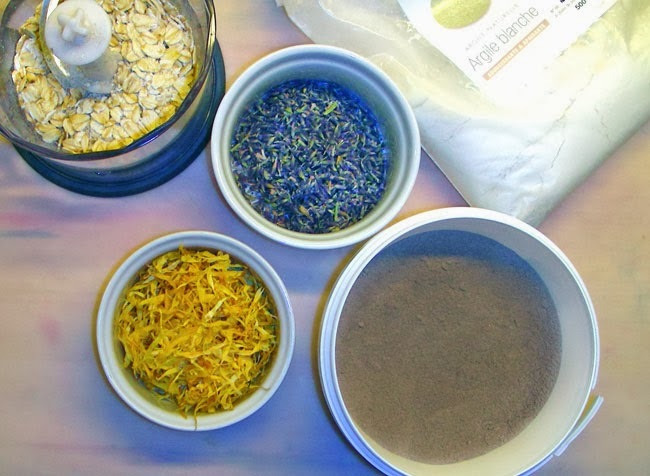 Here's an all-natural way to wash your face – with flowers, dirt, and food. I'm not kidding. Done correctly, combining ingredients from these 3 groups will gently cleanse and exfoliate your skin, leaving it feeling silky smooth, supple, glowing, and nourished. Not only is it easy to make and fun to use, it's not even pricey! I've been working with several different combos over the past weeks and my skin is loving this method. Are you curious to try it? Then read on! In the near future, I am going to show you how to put together your own personalised, customised, all-natural face wash. Not only will your personal face wash be long lasting, you will be able to create several versions by mixing and matching the different ingredients to suit your personal preference (and pocketbook). If you want to get a head start, you can start shopping ingredients right away. Choose 1-2 ingredients from each of the 3 groups below. There is only one requirement: every ingredient must be dry/dried. No fresh leaves or anything containing moisture of any kind for this project! 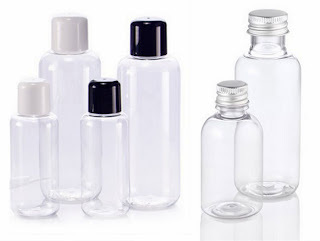 If you want to shop containers while you're at it, look for clear bottles with narrow-ish openings at the top (without insert). Unless you are comfortable with glass bottles in the bathroom, I'd go for a recyclable PET plastic approved for cosmetics or foods. The pictured bottles are from Danish Urtegaarden. French Aroma Zone has a lovely selection of fun bottle shapes in clear PET plastic as well. (find links on the sidebar). Have fun shopping – next time, we'll get busy! Hi Jana and a happy new year to you! I am totally in love with oats as well--- it is a beautiful, gentle exfoliator that doesn't dry the skin - what's not to love? My work last week didn't let me time to try, but I just want to make one of these cleansing bars and try also with some surfactant, just to know how it works! Hi María - Great! Promise to let me know how it goes!